a gift for kids age 5 to 9.
active and healthy without seeming too much like exercise. Don't hesitate to buy such an amazing gift to surprise your kids! 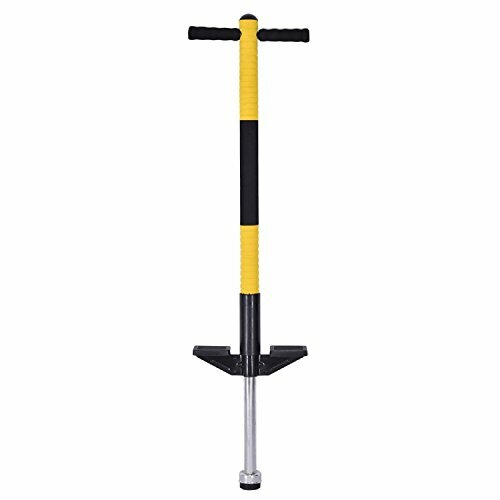 Modern pogo stick for older children, supports 60 to 85 pounds. Rugged metal frame covered in precision-made foam. Replaceable nonslip footpads and easy-grip handles. Rubber tip helps riders stay in control. Dimension: 38"H x 10"W.
All of our pogo stick adopt special excellent quality spring ,which is enable the stickers load heavy duty and better bounce.